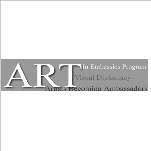 Ellen Spencer Susman was appointed in 2013 as director of the U.S. State Department’s Art in Embassies Program, which manages the collection of paintings and other fine art created by U.S. citizens that are on display in U.S. embassies around the world. Her father, Gordon Spencer, was the president of the family business, Spencer Industries, which supplied large retail chains. He and his wife, Babette, Ellen Susman’s mother, also established Glenburn Valley Farm. Susman attended the Long Island women’s university, Briarcliffe College (now Pace University), from 1968 to 1972, earning a B.A. in English. In 1977, Susman was hired to host “Evening/PM Magazine,” which aired on station KYW-TV in Philadelphia. Five years later, she turned producer after founding a Bermuda-based speakers bureau that produced conferences for multinational corporations. In 1994, Susman created, produced and hosted “The Aspen Institute Television Show,” which featured guests from government, business and media for discussions about leadership. In 1996, she moderated “Experience Teaches,” a monthly two-hour program that was broadcast live on Executive Education Network. The series featured open-forum discussions with hundreds of participants, including business leaders and experts. From 1998 to 2002, Susman moderated “Leaders Forum,” a monthly live conference that streamed live on the Internet. The program worked with a variety of clients—including the Veteran’s Administration, insurance companies and clothing retailers—to provide insights into leadership development and techniques. In September 2001, Susman produced a conference, “The Myth of Superwoman,” which focused on the challenges facing women in the workplace. She followed up on that theme in 2005 with production of a 13-week series, “Superwoman Central,” which aired on PBS in Houston, Texas. The November 2008 publication of a book Susman edited, Danger Pay: Memoir of a Photojournalist in the Middle East, 1984-1994, offered a memoir of the life of her late sister, Carol Spencer Mitchell, who had worked as a photojournalist in the Middle East. Susman subsequently returned to PBS to produce and host a nationally broadcast TV series, “Balancing Your Life with Ellen Susman,” which addressed challenges facing women in the areas of career and family. On September 6, 2011, President Barack Obama appointed Susman as a member of the President's Advisory Committee on the Arts for the John F. Kennedy Center for the Performing Arts. Cited by the Houston Chronicle as the top female Texas bundler for Obama, she donated $100,000 to the Obama super PAC, Priorities USA Action, according to the Center for Responsive Politics. The “Texas philanthropist [Susman]…has alerted people involved in the decision-making of her interest in serving as director of the State Department’s Art in Embassies program,” wrote The New York Times’ Nicholas Confessore and Sheryl Gay Stolberg in their 2013 article on the relationship between Obama donors and State Department appointments. The Obama administration clearly took notice of Susman’s interest and gave her the job. Susman makes her political donations through Democracy Alliance, which distributes its contributors’ donations to such Democratic-leaning groups as Center for American Progress, Media Matters, and Priorities USA, and keeps a lid on the identities of both its donors and recipients, according to Washington Free Beacon. Susman’s husband, Stephen, whom she married in 1999, is a prominent trial attorney and a founding partner of the law firm Susman Godfrey LLP. He has won some of the largest cases in U.S. history, including a $1.1 billion settlement on behalf of Texas Instruments in Samsung Electronics v. Texas Instruments; and a $536 million jury verdict in El Paso Natural Gas Co., et al., v. GHR Energy Corp. In 2010, he was part of the legal team that represented L.A. Dodgers owner Frank McCourt in his high-profile divorce trial. The Susmans have donated millions of dollars to charitable causes, including an $11 million gift in 2011 to Yale University for new exhibition space at the Yale Art Gallery, and $5 million to the University of Texas Law School in 2010. The couple has four children and several grandchildren.